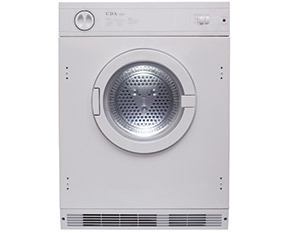 The CI921 is an integrated sensor tumble dryer. The sensor intelligently adjusts the drying time according to the moisture content of the load. It has a 7kg load capacity for maximum drying and comes with a vent hose for ease of installation. Too many white goods in a kitchen can look cluttered and ruin the aesthetic of a streamline design. 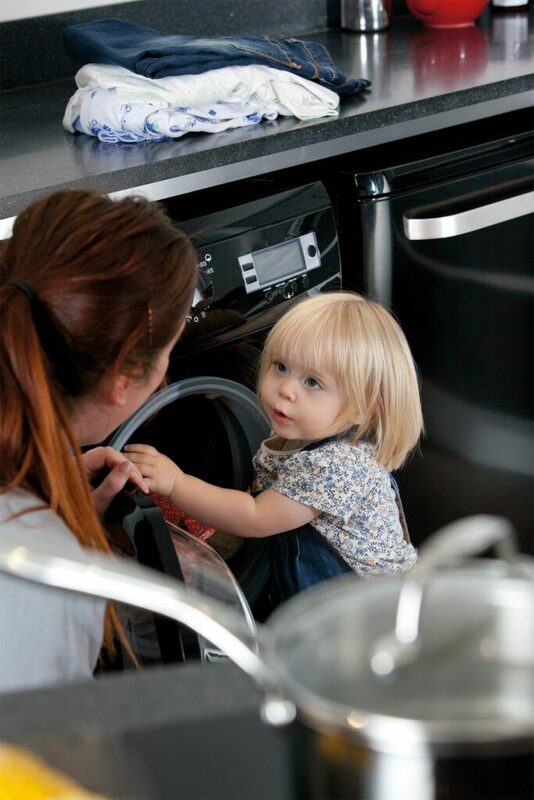 Integrated tumble dryers come complete with a fixing kit that allows you to attach a décor door that matches the rest of your kitchen to the front of the appliance. Simply open the normal cupboard door and behind it is convenience and labour-saving technology. This is handy tumble drying that can be hidden away in a cupboard, perfect for when you need functionality but you don’t want every appliance to be visible. This integrated tumble dryer has a large 7kg capacity that can manage towels and bedsheets all in one go. If you want to match up the exact load capacity to what that means in clothing, visit our capacity guide to find out how much will fit in 1kg of tumble drying space. With simple controls and a quick start action, you can race through laundry day with ease while you complete the relay between teenager’s bedroom floor to collect the grubby clothes, to the washing machine and then the dryer before racing back to return the clothes to the drawers for the whole cycle to start again. At least it is less exhausting with the help of a tumble dryer! This model is vented so it needs to be positioned near to a door, window or external wall in order for it to be installed correctly and expel the vapour outside. There are also different temperature settings that you can select between to suit the type of garment load you want to dry. The lower the temperature, the more suitable for delicate items it is. We have fitted this model with a reversible door so that whatever shape your kitchen is, you won’t be left with an awkward door opening angle. You can simply reverse the door and align your appliances exactly how you want them. Make sure that you leave plenty of ventilation when you install a new tumble dryer as they work with heat and air so need plenty of space to keep them working brilliantly. Although not the prettiest of appliances, we’ll even be the first to admit that, they are so valuable in busy family homes that we’re sure you’ll never want to be without one. 8 drying programmes will help you to select the exact time and temperature that is needed to dry clothes and sheets perfectly. From cupboard dry, which means that they are ready to put away straight away, to iron dry, which is perfect for leaving shirt supple for the perfect iron finish, there is a special programme for what you need. If you want them simply aired, for example, you can now do that in your tumble dryer. The CI921 comes with an intelligent sensor that can access and monitor the time and moisture content of your clothes. The sensor alters the settings to dry garments perfectly and a child lock prevents the controls from being changed during a cycle. This not only reduces drying time but also energy usage, saving you money! You can now get answers to the most commonly asked questions about tumble dryers in our frequently asked questions section.